Vital MX - It’s always a bummer to hear about off-season injuries, but they are part of our sport as much as anything else. Unfortunately, Benny Bloss tore his ACL and will undergo surgery to repair his knee. Teammate Blake Baggett, on the other hand looks to be happy and healthy heading into A1. Justin Bogle will fill in for Bloss, who will be out the entire SX series with plans to be back racing in time for the 2019 Outdoor Nationals. In other news, the Rocky Mountain ATV/MC - KTM - WPS has a new energy drink sponsor, 51Fifty. Payson, UT (Dec. 28, 2018) – Team Rocky Mountain ATV/MC – KTM – WPS rider Benny Bloss has unfortunately suffered a knee injury this week that will see him sitting out the entire 2019 Supercross series. Bloss injured the knee in a practice crash this week, and after having a MRI done it has been discovered that he has a torn ACL that will require surgery to repair. “Benny has been riding and progressing so well, it’s heartbreaking to Benny, his family, and the team. Benny has been with us since being a rookie in the summer of 2016, and 2019 was really ‘the year’ we were all ready to see what he could do. Really, there isn’t much to say as there are other injured riders too, or ones that have been there. We say it’s not fair, but it’s part of the sport and instead of wishing what could have been,it’s time to just focus ahead, get surgery and put in the hard work to be ready for the 2019 Motocross Nationals”, says team owner Forrest Butler. Though the news is quick to hit, both the team and Bloss really didn’t-hesitate to decide on getting the knee fixed right away. Bloss is a strong asset to the team and is very young. Benny will be in attendance next weekend at the season opener in Anaheim to visit with fans and media. With the unfortunate loss of Bloss before the start of the 2019 Supercross season, the team has been able to secure the services of another top 450 rider. Team Rocky Mountain ATV/MC – KTM – WPS is proud to announce the signing of the 2014 250 East Coast SX Champion, and 2017450 Budds Creek National Winner – #19 Justin Bogle. Bogle, young himself to the 450 Supercross class in what will only be his 4th year in the premier class, has the team extremely excited to work with the young star. “As much as it hurts to watch Benny go down, we are a race team and we were very fortunate to get the opportunity to have Justin come in to join the team for the entire SX series. Justin has been a rider I have always been a fan of, I believe has incredible 450 bike skills, and I look forward to seeing what we can build over the course of the season”, says team manager Michael Byrne. The team will see Bogle launch alongside his new teammate Blake Baggett next weekend at the season opener in Anaheim, CA. 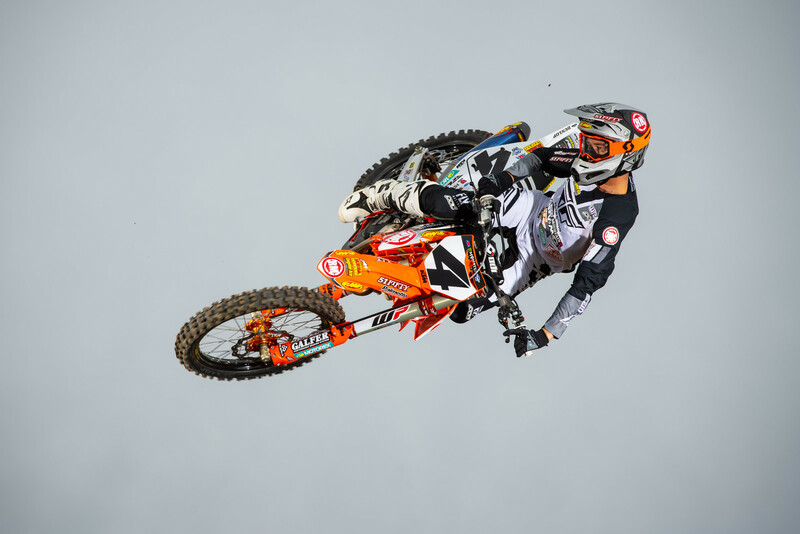 Bogle will be participating in press day riding on Friday Jan. 4th, where most media will have a chance to see the #19 on his new KTM 450 SX-F.
Justin Bogle had to say of his new gig, “I am really humbled by the opportunity to be able to join the Rocky Mountain ATV/MC – KTM – WPS team. I know it’s last minute, and it’s been a bit of a roller coaster the last couple of weeks, but I really couldn’t be more excited for this opportunity. This team is more than proven, the KTM is arguably the best bike out there and I am again just really excited to throw my leg over the bike and get to work in the coming days. Thank you to all of the sponsors of the Rocky Mountain ATV/MC – KTM – WPS team for having me join the team. And I also want to give a special thanks to all of my personal sponsors for being supportive of me taking this opportunity. I truly thank everyone of you, as well as wish Benny a speedy recovery. Now it’s time to go racing!”. 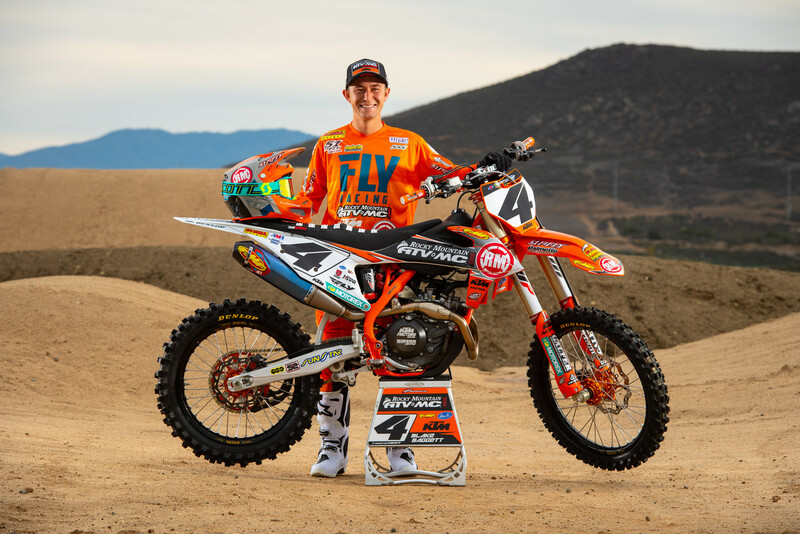 Team Rocky Mountain ATV/MC – KTM – WPS is proud to announce a new addition to the team for the 2019 season, in 51FIFTY Energy Drink. 51FIFTY has been a stronghold in the sport of Supercross and Motocross for 7 years now. They have a true passion for the sport, and are a natural fit for the team and all of it’s grassroots efforts. 51FIFTY is a lifestyle brand, which is the perfect fit for the Rocky Mountain ATV/MC team and what it is built off of, which is the team’s core fan base. 51FIFTY has a motto to “Live The Madness”.The meaning behind it is unique in that it supports a person to Live “through” the madness of life, to conquer one’s destiny and to push every last bit of your energy and power into your accomplishments. Team Rocky Mountain ATV/MC strives for these exact efforts each and every weekend, and can’t wait to bring it all together as a team at Anaheim 1.